Widmer Fields lie within the Chiltern Area of Outstanding Natural Beauty and are classified Green Belt. The Grange Area Trust has adopted a structured Land Management Plan for the Widmer Fields that is sympathetic to the care of the natural habitat which is ‘home’ to a wide variety of wildlife. This will enable the fields to fulfil their public amenity role. Widmer Fields are being maintained as amenity land for the public at large to enjoy informal recreation. There are many informal entrances, some wide enough for disabled access. An extensive network of official and permissive paths covers most of the area. For all users, part of the pleasure is derived from the natural character of the fields that has been allowed to develop over the last 40 or so years since they were last farmed. Residents are encouraged to make and supply bird nesting boxes, bat boxes, bumble bee homes and local bee-keepers are encouraged to install hives. The Trust welcomes donations of fruit and nut producing trees to enhance the supply of springtime nectar. In November, volunteers were joined by children from Cedar Park School to plant daffodils which, combined with previous years efforts, produced a superb display. Another recent initiative saw 90 linden trees planted along the access drive and into the Oak Paddock, to commemorate the Queen’s 90th Birthday and to provide a stunning entrance to the Fields for years to come. The Grange Area Trust undertakes almost all of the land maintenance required using just volunteers. 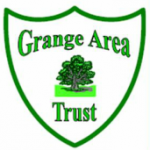 If anyone wishes to help by volunteering or to learn more about the Trust, please visit the Grange Area Trust website.